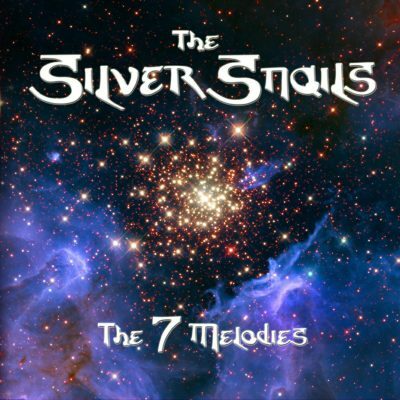 The Silver Snails is an independent music project that incorporates a stunning array of musical influences to create a kaleidoscopic, multi-lingual and progressive fusion of pop, folk, rock, electronica, opera, and world music. Based in the medieval wine country of Romagna, Italy and anchored by the husband and wife duo of Lucas Ward and Elisa Fantini, the mission of The Silver Snails is to open human hearts through song. The group’s debut LP, The 7 Melodies, casts a musical spell designed to unlock joy and unleash magic within the lives of those who listen. Revealed by inspiration and diligently sculpted, recorded, and mixed over a two-year period, the album’s songs incorporate English, Italian, and French with touches of Mandarin and Sanskrit. Fresh and melodic, the songs are stylistically adventurous, with each song illuminated by a different frequency of emotion like colors of the spectrum. The album is full of sonic surprises, from the unexpected entry of a child’s voice (the couple’s daughter) in “Dancing With The Stars,” to the intra-song genre-hopping of the musically-complex “Beatrice Russo,” to the laid-back island vibe of bonus track “Coco Loco.” The group’s theatricality, boundless talent, and joy for life is on full display throughout the album.